SEO is a powerful way to claim top spots on search engines, but if you aren’t targeting specific locations, then you could be missing out on a lot of search traffic that is not only more relevant to your business but also easier to compete for. While keyword placement and PPC advertising are a good step in the right direction to kick-start a local SEO strategy, link building should most definitely play a key role in helping you achieve your goals. First and foremost, you need to focus on getting high-quality links. 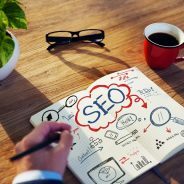 As a website manager or business owner, this means focusing on links from sites that are relevant in your business industry, authority sites in the location you are targeting, or links that can boost the reputation of your business such as established trade publications or industry associations. Websites, news sites, and magazine websites are much more eager to link to your website if you are creating high-quality content for them to use. Write educational and helpful articles that a journalist or content manager can publish on their site for their audience to read, and include a backlink to your website at the bottom of the page. What are your competitors doing in terms of local SEO? Use SEO Spyglass to find out. You can type your competitors’ URLs into Spyglass and get basic statistics of the backlinks to their website, the IP diversity of their backlinks, and more. This strategy can also spark a few ideas on new link building opportunities that you should be exploring for your own website.